Growing up I got involved in athletics very quickly, starting martial arts at 3 years old at my father’s TaeKwondo school. I trained there throughout my entire childhood while also trying out all the basic sports (soccer, baseball, lacrosse, you name it I did it). After earning my black belt at age 10 I decided to move onto other things which is when I found wrestling. I had success with wrestling throughout high school but I soon found what I really loved was being in the gym and training. 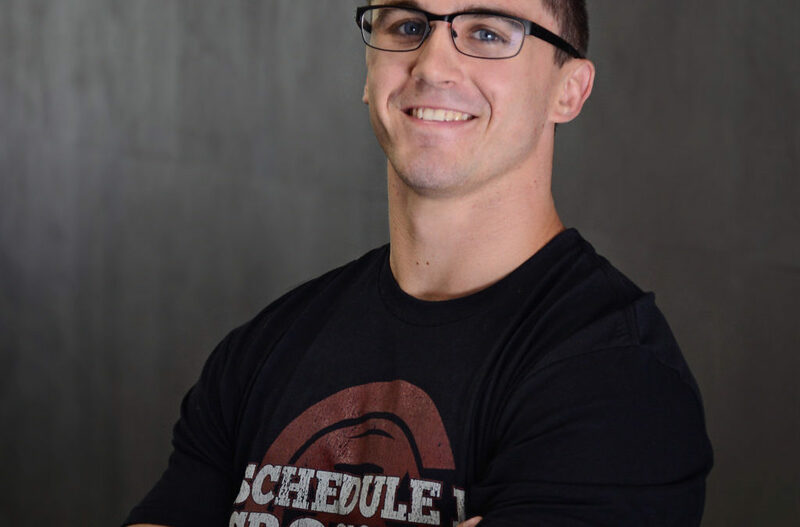 Throughout college I studied Exercise Science while also creating my own workout plans revolving around weight training, calisthenics, yoga, gymnastics and more. My gymnastics knowledge allowed me to coach recreational and competitive gymnastics from 2015-18. CrossFit was on my radar but I never truly gave it a shot until my senior year of college. It was at this point through an internship in my academic program that I was able to experience and coach CrossFit. I was always a pretty fit guy but that first workout still killed me! It’s through that experience that I was convinced I wanted to dedicate my life to helping others achieve their health and fitness goals.